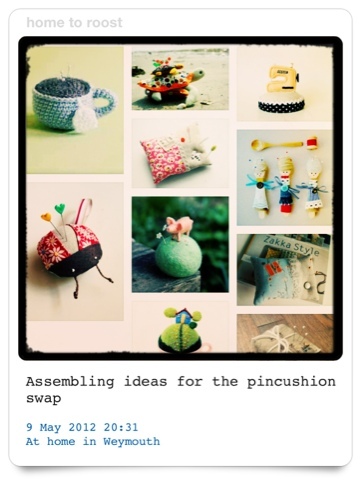 I’ve signed up to take part in the House of Pinheiro’s pincushion swap. Once I find out the ‘lucky’ recipient of my pincushion I’ll be able to decide what kind of pincushion to make them. In preparation I’ve been pinning my favourite and most inspirational pincushions on a Pinterest board – please take a look and let me know which one’s your favourite, it might help me narrow down the choice!